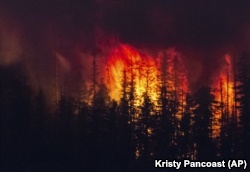 The Howe Ridge Fire burns at Glacier National Park, Montana. A firefighter uses special methods to fights the Holy Fire as it burns in the Cleveland National Forest along a hillside at Temescal Valley in Corona, California. 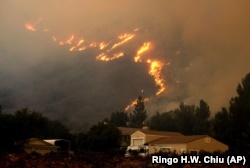 A wildfire in the Cleveland National Forest at a hillside near homes in Lake Elsinore, California. I’m ­Anna Matteo. And I’m Pete Musto. Seth Borenstein reported this story for the Associated Press. Pete Musto adapted it for VOA Learning English. Caty Weaver was the editor. We want to hear from you. 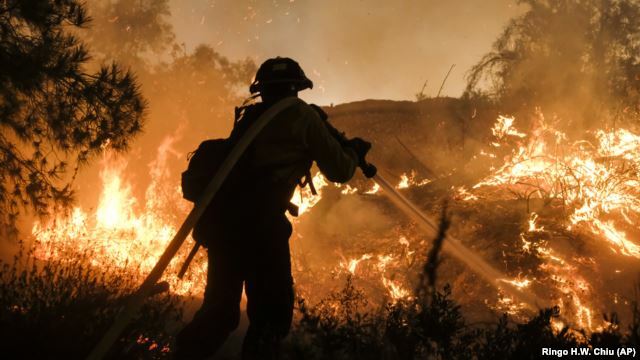 What do think governments can or should do to prevent the spread of wildfires? Write to us in the Comments Section or on our Facebook page.